The distance to the closest beach is 10 meter. The distance to the sea is 10 metar. The distance to the town center is 300 metar. Grocery store - 300 m. Closest restaurant - 300 m. Closest infirmary/hospital - 2000 m. Closest public transport (bus etc) - 300 m. Airport - 45 km. Train station - 45 km. Ship / ferry port - 45 km. National park - 2 km. 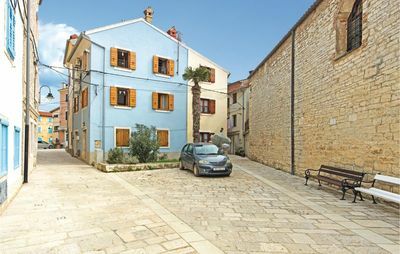 Apartment type: A4 Žuta. 2 bed/s for adults. Number of extra beds 2. Apartment capacity (adults): (2+2). Category of apartment is 3 stars. Apartment size is 51 m2. The apartment is on the first floor. Number of bedrooms in the apartment: 1. Number of bathrooms in the apartment: 1. Number of balconies in the apartment: 1. Flooring: carpet. In the bedroom is two single beds. Bedding is available to guests., The room has an exit to the balcony. air conditioning in the living rooms with surcharge, TV set, SAT-TV, smoking not allowed inside the apartment . Bathroom size is: 3,64 m2. Equipment in the bathroom: shower cubicle, toilet, tiles, bath towels. 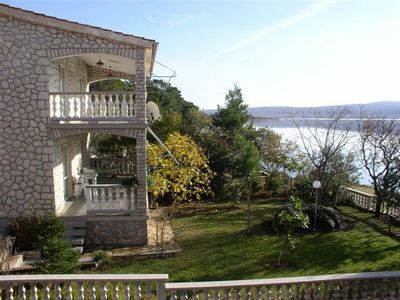 Size of balcony/teracce of the apartment is 10,64 m2. 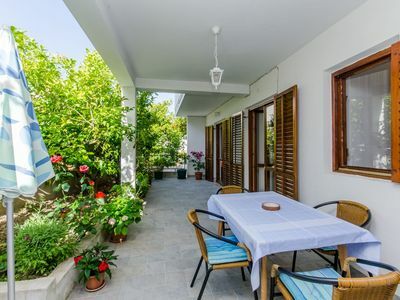 Features and equipment of the balcony/terrace covered, seating set, orientation sea side, sea view, garden view, mountain view, panoramic view.